Open House Sunday 7/31 1-3pm 13184 Silver Fox Lane In Caloosa! Check in and check out that incredible Caloosa Equestrian Property On 10.25 Acres! This is an awesome CBS Home With 5 Garage Spaces Includes Gourmet Kitchen Including Double Ovens, Granite Counter Tops, Cherry Cabinets, HUGE Pantry! Formal Living And Dining Rooms, Family Room With Awesome Views Of Free Form Screened Pool With Rock Waterfall And Hot Tub And Beach Area Too! Master Includes 3 Sided Fireplace And Spa Bathtub! Home Includes 40kw Generator With Buried 1200 Gallon Propane Tank. Incredible Central Caloosa Location, 9 Stalls In 2 Barns With Plenty Of Paddocks On The Property Too! Definite Room For Groom's Quarters In Main Barn! 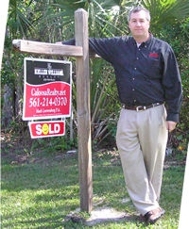 Sold Awesome Price In Sandalwood In Palm Beach Gardens! Home With Oversize Guest House In Caloosa For Sale On 5 Acres! CBS Guest House Home In Caloosa For Sale On 5 Acres! Awesome 5 Bedroom Home For Sale In Caloosa: 13385 Windover Way!